Your freaking problem ... 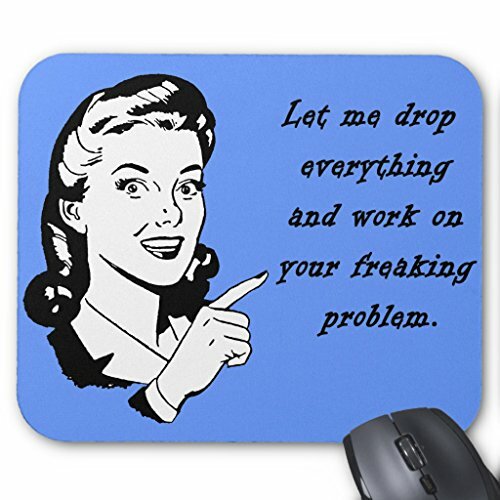 Funny Job Humor Let me drop everything and work on your freaking problem. Fun and happy cartoon designs will turn a frown into a smile, put the spring back into your step and absolutely will put the fun back into your day. Lets all put some humor into our lives and exercise all those smile and laugh muscles:) Enjoy our fun hand drawn cartoons on t-shirts, shirts, aprons, hats, sweatshirts, tote bags, mugs, fridge magnets, fashion pins, greeting cards, postcards, stickers, key chains, bumper stickers. Wholesale available.